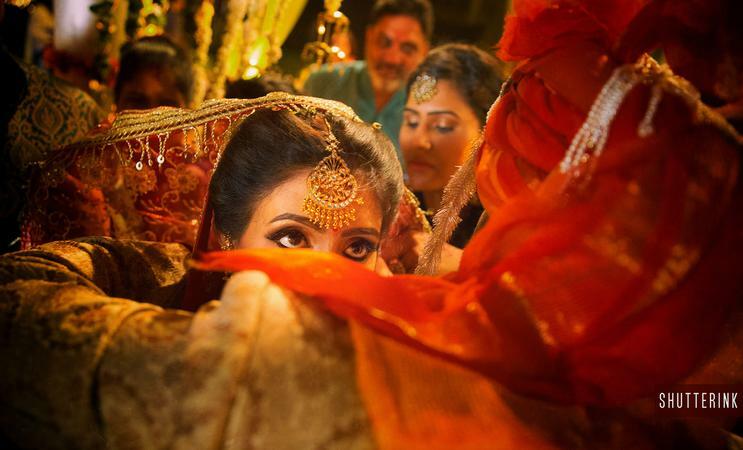 Shutterink, Delhi is a multiple award winning photographer and is Wedding photographer of the year 2015 finalist. Shutterink is based out of Delhi and Chandigarh and is a tag team of two lead photogrpahers Nitin & Sandeep. Being a team of two lead photographers help them to ensure that both bride and groom sides get the best of the best work during their wedding celebrations. Their strong communication skills and friendly approach immensely helps them to capture the real emotions, the essence of the wedding and create images that stand the test of time. Shutterink is a Wedding Photographer based out of Delhi . Shutterink's telephone number is 76-66-77-88-99, Shutterink website address is http://www.shutterink.in/, Facebook page is Shutterink and address is Chandigarh, India. In terms of pricing Shutterink offers various packages starting at Rs 150000/-. There are 2 albums here at Weddingz -- suggest you have a look. Call weddingz.in to book Shutterink at guaranteed prices and with peace of mind.